From affordable temperature controlled storage units to convenient access hours, Affordable Family Storage has all the features you need to make your storage project hassle-free! Yes, we have Autopay. Click here for instructions! Between our Jefferson City, Omaha, Council Bluffs, Topeka, and Des Moines, and Leavenworth locations, Affordable Family Storage offers eleven great facilities with a wealth of storage features that make your storage experience quick and easy. Our friendly staff is always eager to help you through the process at each of our seven great locations, and we’re confident that you’ll find what you’re looking for when you need extra space. Ready for a clutter-free life? Contact the facility nearest you and we’ll help you get started! We know that just about everyone is on a budget these days, so Affordable Family Storage strives to provide the best prices while also giving you more than your money’s worth. Who doesn’t want that, right? We have the lowest prices, on average, that you’ll find in any of the communities where we’re located, while still providing superior service. Families, college students, small businesses – pretty much everyone who rents a mini-storage unit from Affordable Family Storage is concerned about keeping as much of their money in their own pocket as they can! We definitely understand that concept. Renting a self storage unit doesn’t have to cost a fortune, as you’ll find out when you give us a call or come by to see our state-of-the-art facilities in person. But that doesn’t mean that we skimp on quality service. Our standards are exceptionally high. 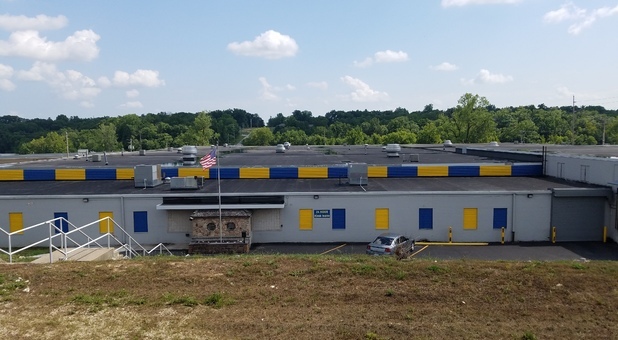 Running a successful self-storage business is much more than simply providing vacant space for customers to stash their stuff. It’s about providing a clean, dry storage unit that keeps your belongings safe from damage. It’s also about providing the around-the-clock protection that customers expect. Affordable Family Storage provides these things standard at each of our 7 professional locations. Many of our locations go above and beyond customers’ expectations when they are renting a value-priced mini storage unit. Some of our locations offer interior storage for an added layer of protection, while others have a kiosk for anytime bill pay or unit rental for your convenience. We’ve taken great care at all of our locations to provide safe loading and unloading conditions. Our storage facilities are designed so that you can drive right up to them and enter your unit at ground level. Some locations even have ramps in necessary locations and dollies for your use so that you do not injure yourself or damage your items while you are storing or unpacking them. This kind of attention to detail is much more than our customers are used to with other mini-storage facilities. It’s what helps to set us apart! To maximize your hard-earned dollar, we also have special deals that are so good that we don’t advertise them to just anyone! You’ll have to call and speak to one of our knowledgeable representatives to hear about these special rates and offers! You can also save money by checking out our exclusive web rates for customers who reserve and book our mini-storage units online. As you can tell by our name, Affordable Family Storage makes affordability a priority. We will never charge a blanket rate. Our customers only pay for the space they need! We offer long-term and short-term contracts for customers’ individual needs. There’s no sense in locking you in to a 2-year contract if you know you’ll only be needing the space for a few months. We can accommodate your specific self storage needs! And if you begin your contract in the middle of the month, we will prorate your first month so you aren’t paying for time you didn’t get. Bottom line is that there is a reason that Affordable Family Storage is one of the nation's most popular up and coming multi-location storage unit companies. We provide an exceptional service, with exceptional employees, at exceptional prices! So, whether you are looking for a lot of self storage in Springfield, MO or a small storage locker in Omaha, we have got you covered! Affordable Family Storage goes to great lengths to attract new customers while maintaining the great ones we already have! You, the customer, are the reason we’re in business, after all! While it’s our job to protect your belongings from theft and damage, YOU are the one we want to keep happy! And we’ll do whatever it takes to make that happen. There are over 54,000 self-storage facilities in the United States, so we know you have a choice when it comes to service, price and amenities. We want to be your choice for all of your storage needs, and we know that begins with great customer service! You’ll experience old-fashioned service with a smile from our helpful staff. Our representatives can help you decide what size unit you will need. They can even take you for a personal tour of the facilities if you request, so that you can see exactly what you’re getting before you sign a contract. They know all the details about their locations, and if you are looking for different amenities from the ones that specific location can provide, the staff member can recommend a different Affordable Family Storage location that offers exactly what you are looking for. Our call center is available for your questions about storage units that you may be considering or ones that you already rent from us. Our phone representatives are available 24-hours a day for some locations so that you can call when it’s best for you. Don’t underestimate these ladies and gentlemen! Even over the phone, our knowledgeable staff can help you decide how small or large your mini-storage unit needs to be based on the amount of things you need to store. Statistics show that over 75% of potential customers initiate the search for a mini storage facility online, many of them completing the process by booking a unit online as well. Therefore, we’ve made sure that our website is easy to understand and navigate. The rental process is simple and intuitive so that just about anyone can do it, even with minimal tech knowledge. We have built-in tools that can help you estimate and visualize how much space you will need, complete with a summary explanation. You won’t find many other self-storage companies that will go the extra mile for you the way Affordable Family Storage does! Recent studies show that over 10% of households across the country rent a storage unit. We know that this number will only grow larger in the coming years, and we are prepared! Affordable Family Storage wants to retain our existing customers by giving them exactly what they’ve come to expect from a professional self storage facility. We also want those priceless word-of-mouth recommendations from our happy customers which will drive our new business! When you choose us, you aren’t just a number, you’re a valued customer. That’s why we put such a high priority on 100% customer satisfaction. We want you to know just how much we appreciate your business! Affordable Family Storage is committed to offering you the highest quality of service and storage units you can find today!